The Yakima has been a bit quirky and in the same breath, good. 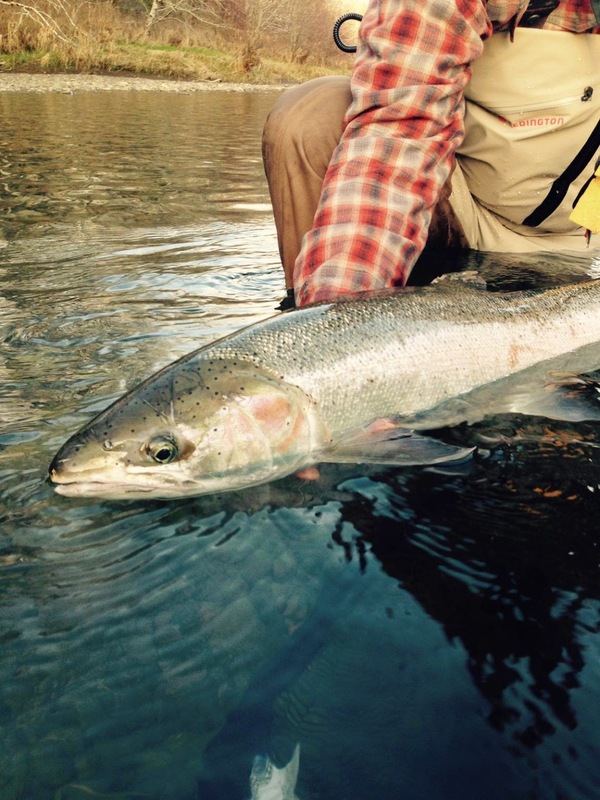 There are a myriad of choices for the trout to eat currently, unlike a normal February. 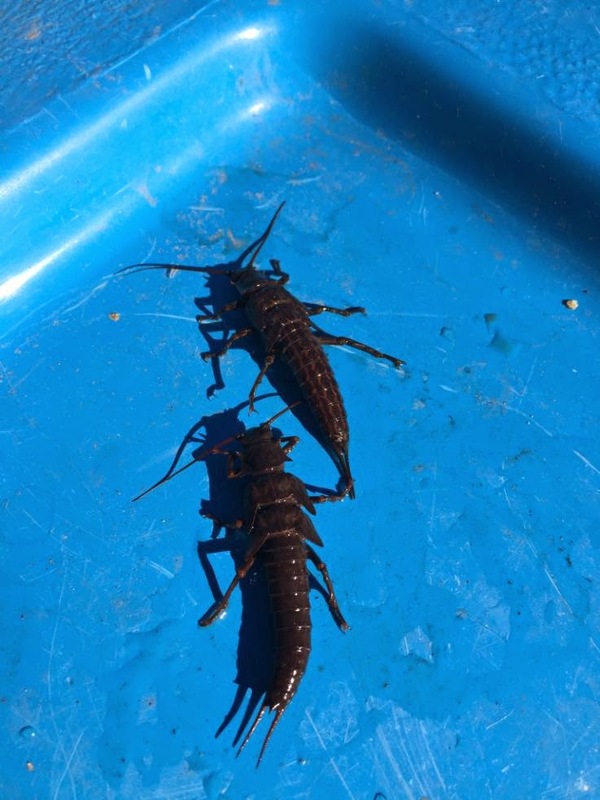 Generally at this time of year the predominant active stonefly nymph would be the Skwala; and they are active. In addition to the Skwala, we have noticed active Salmonfly nymphs…a little early for this. Phil with one of his first trout ever. Been running a little behind lately. Apologize for the delay in responding. 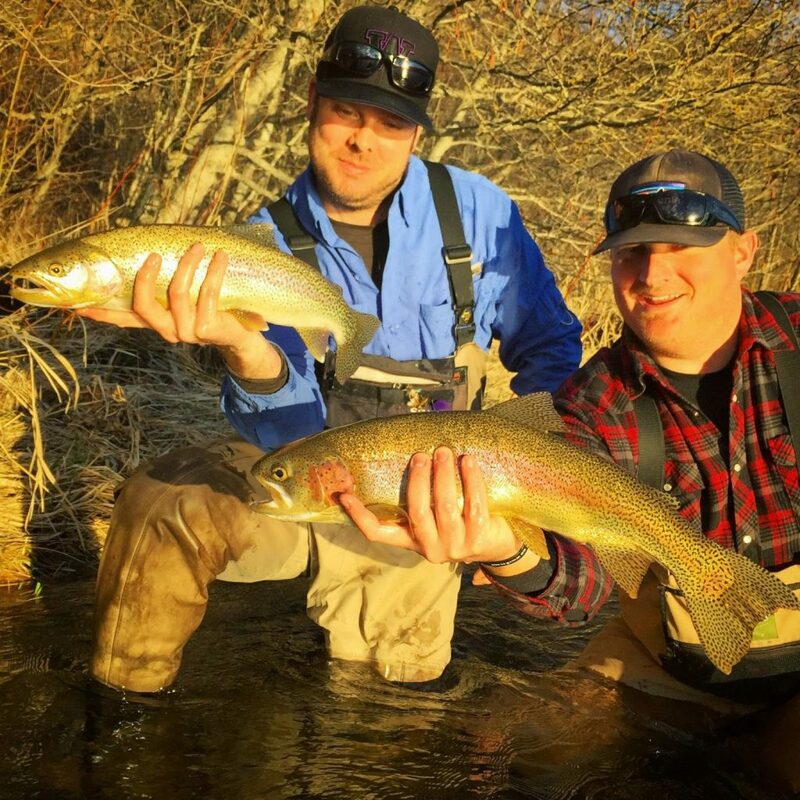 The last big water occurrence brought in some fish and the ensuing 9 days after has been some good fishing on both the swing and the bobbercator. We are however in need of some more water as everything is getting ‘kinda bony’. There have been a few of these around….on both the nymph and the swing. Water has dropped and cleared on most watersheds; in fact we need some more rain. Hopefully not as much as the last deluge. 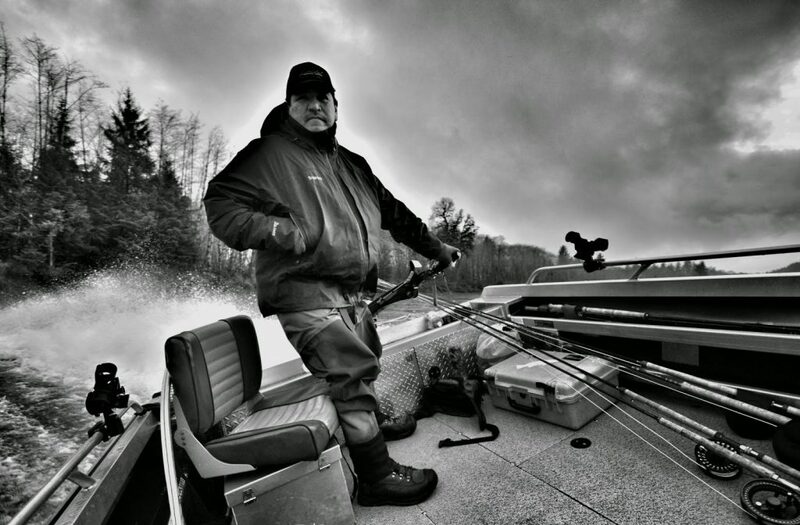 Fishing continues to be steady – Some days have been real good lately! 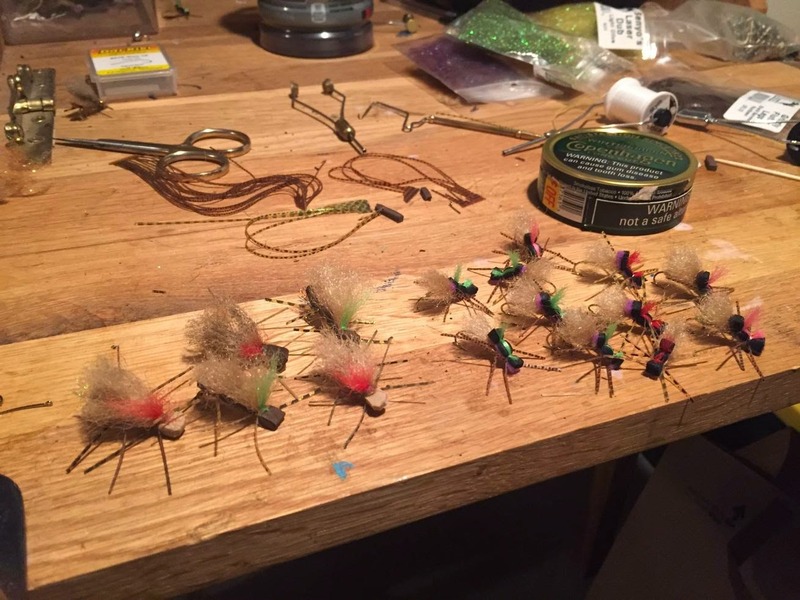 Best bugs include various Skwala nymphs and searching nymphs – The below bug image demonstrates one of our guides preparation for the dry fly action – Coming real soon to the Yakima! 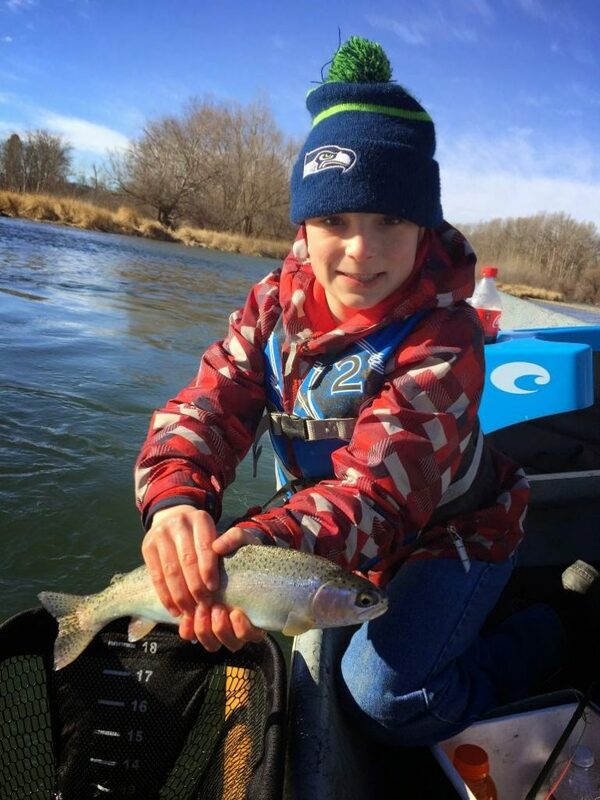 The other images are of beautiful Yakima trout. The last water occurrence was a BIG ONE. We are excited to be back on the water :))). If your fishing using a boat there will undoubtedly be some new ‘ISSUES’, So be careful as big water occurences can change rivers dramatically. 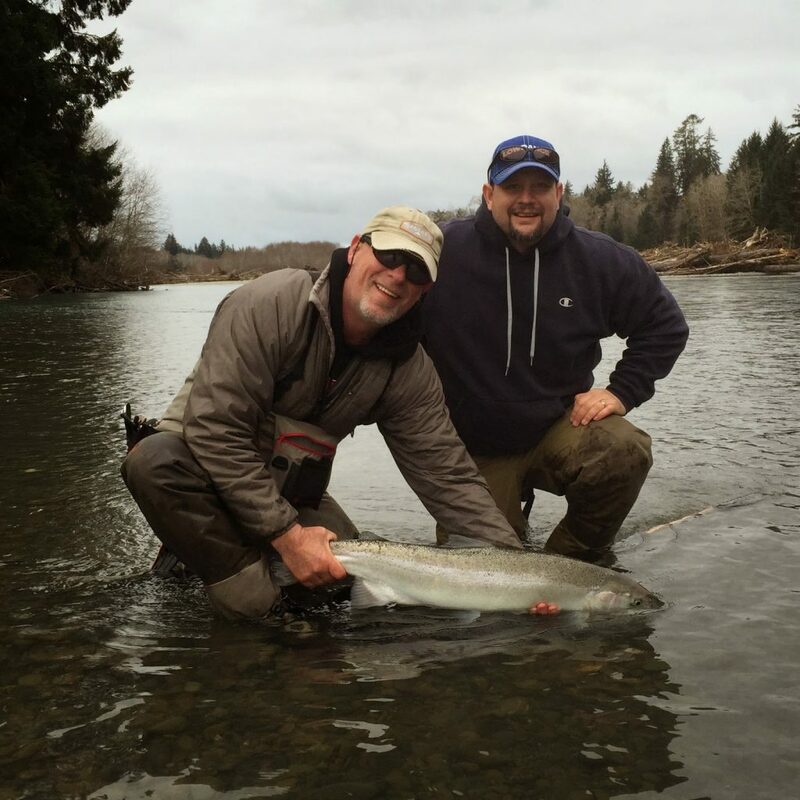 These lines however, are not the best in the ‘slotty fast’ waters where the Skagit head with a heavier tip and heavier bug would be more appropriate, like you might find on the OP’s Duc or Clearwater. 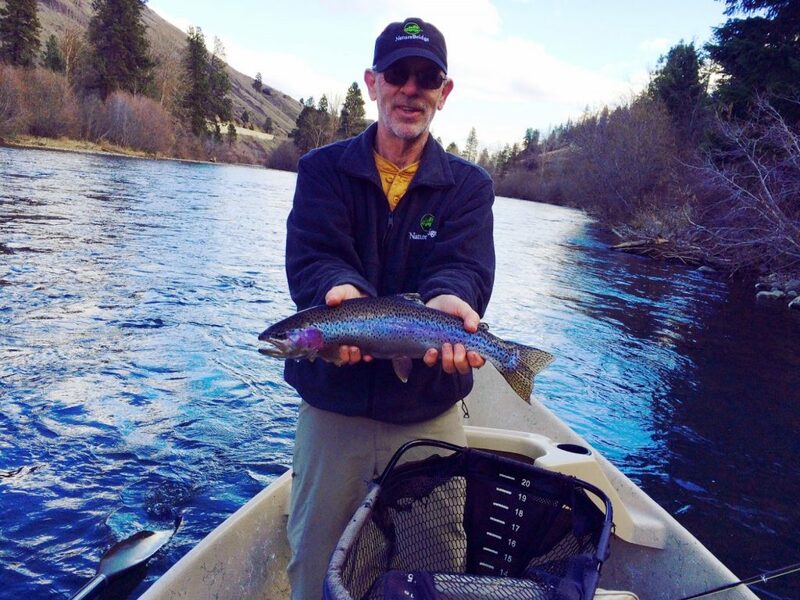 Fishing above the Teanaway has been good. Below a bit spotty based on clarity as an overall rule….River is settling and should be rockin’ throughout the system sooner then later. 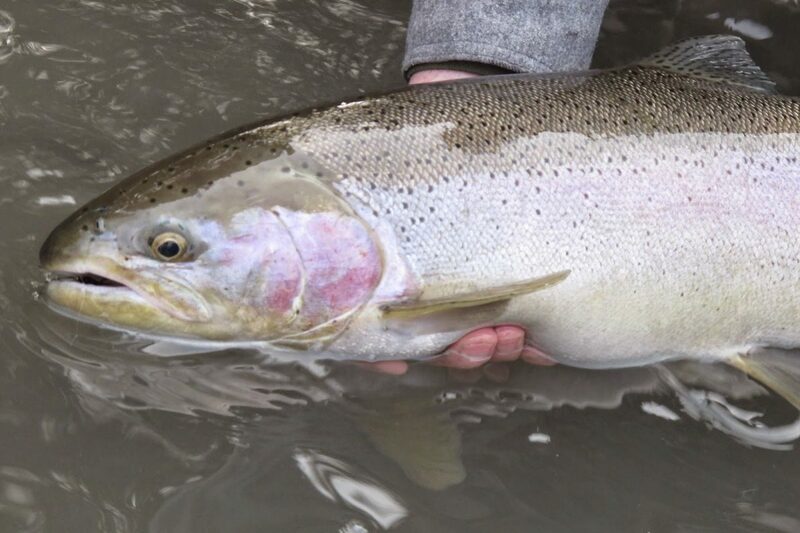 Here is a beautiful sea going rainbow that bit the fly the other day on the Yakima…..
With all this rain…..The river below the Teanaway is By By momentarily. Should be back in soon based on weather forecast. 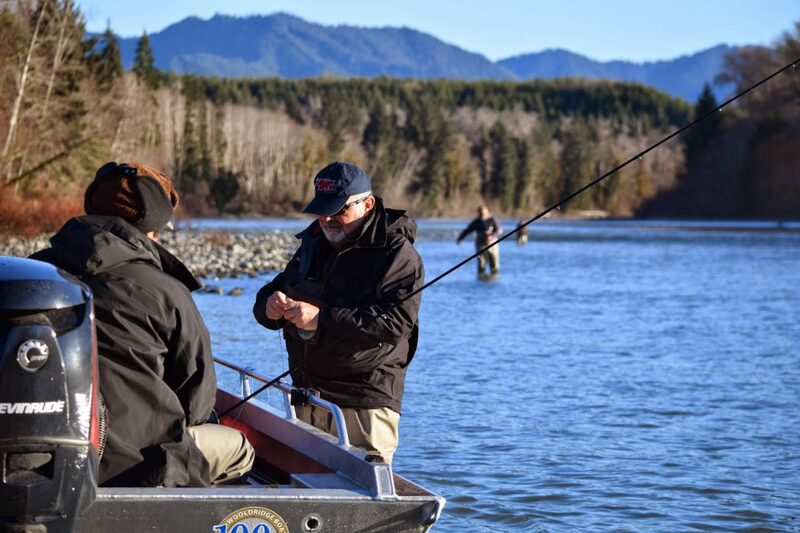 Between the Teanaway and the Cle Elum confluence is your best bet today. Unfortunately, most of the rivers are going to go out with this deluge. It appears to be short lived. Perfect for next week! Both the nymph and the swing have produced well recently. Swing fishing lately has been worthy. 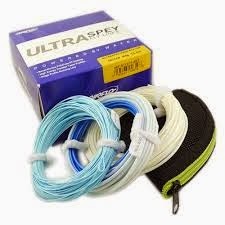 Used some cool lines recently; The Ultra Spey and the Nextcast Solar. Both of these lines offer an intermediate density sinking portion integrated into the body prior to the separate addition of the final sink tip. The outcome is a line that has a longer portion that sinks and at different rates. Ultimately these designs allow you to get deeper if needed and definitely slower. Two thumbs up! Flies that have produced include Cottrell’s Bucket Bouncer in red, a medium size Intruder in yellow, pink, orange and Mike’s Snot Rocket. Some of the nymph days on the South OP have been crazy goood. In fact, a lot of them. 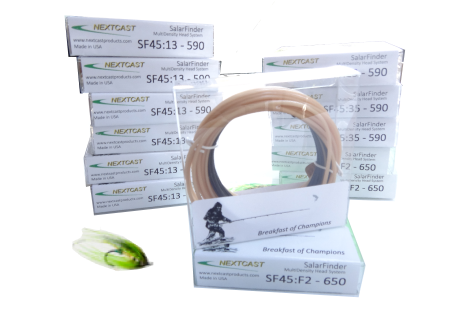 Side drifting the indicator with various terminal choices including beads, yarn, jigs and the like, have all proved effective.